At Eldeco, safety isn’t just part of our mission. It’s a mindset that is at the core of everything we do. 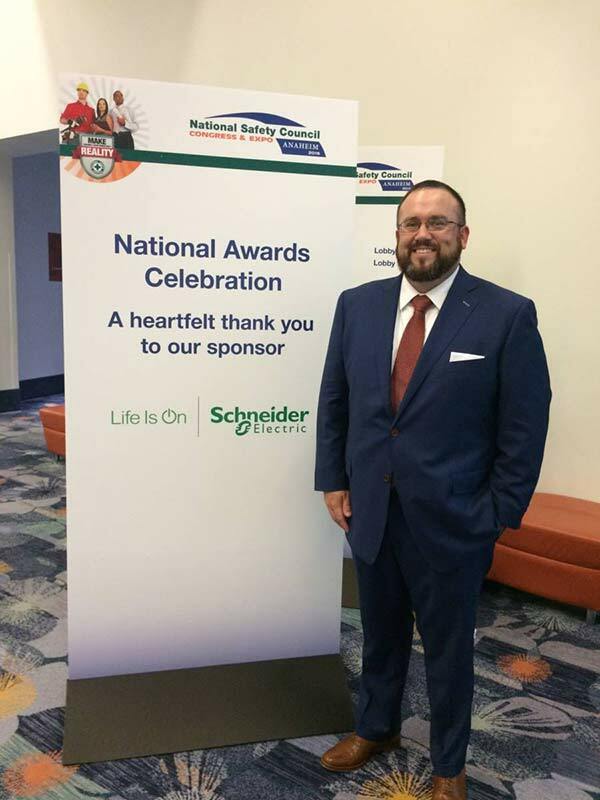 And no one has been more instrumental in helping us further that mission than our Executive Director of Safety, Corey Arledge, who was recently named a 2016 Rising Star of Safety by the National Safety Council (NSC). This prestigious safety award recognizes professionals under the age of 40 who have a proven track record of safety leadership and promoting continuous safety improvement within their organizations. After receiving dozens of nominations for this recognition, the NSC narrowed the list down to an exclusive group of up-and-comers who have taken their performance to a new level. Corey was recognized for his outstanding contributions to Eldeco’s safety culture. Corey was instrumental in creating Eldeco’s “Live Safe, Work Safe” initiative, which views safety not just as something that’s done on the job, but something that encompasses the whole person. Through his leadership, the program has become an integral part of our culture and has changed the way we live and work. While Corey’s innovative ideas and commitment to safety are remarkable, his passion for people’s health and welfare is what truly sets him apart. Each day, he lives out our purpose statement that “people matter.” His compassionate leadership has inspired all of us to make safety part of our lives and to treat those around us with a new level of awareness and care. Congratulations to Corey and the rest of the 2016 Rising Stars of Safety! We look forward to seeing how you continue to drive advancements in safety and inspire those around you to be safe every day.